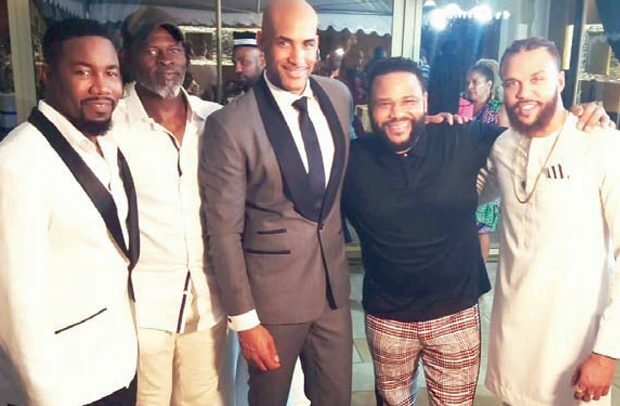 Actors, including Idris Elba, rubbed shoulders with supermodel Naomi Campbell, TV sports presenter Mike Hill, and author Luvvie Ajayi. An estimated 75 per cent of slave dungeons on the west coast of Africa were in Ghana— millions of people were taken and transported on ships that departed from Ghanaian ports. President Akufo-Addo’s ‘Year of Return’ announcement pointed to Ghana’s tragic legacy as a reason for diaspora descendants to return and learn about this chapter of history. They need to experience this journey and get in touch with their emotional heritage, walk through the dungeons and see the ‘door of no return’,” he told CNN. 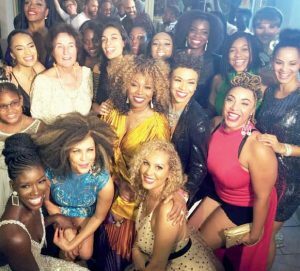 Marketing rockstar Bozoma Saint John— who has a series of marketing coups like Beyonce’s halftime Super Bowl show under her belt — worked with Kodjoe, inviting 100 of the most influential members of the African diaspora to party with them at the festival over Christmas and New Year. Saint John, who works for global media conglomerate,‘Endeavour’, and previously had high profile roles with Uber and Apple Music, says the project is close to her heart. Saint John says that returning members of the diaspora can expect joy on their trip to Ghana, as well as moments of solemnity. Skyscrapers and restaurants feature prominently in her promotional material. 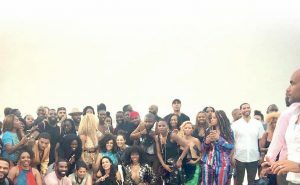 The celebrity-attended Full Circle Festival was the opening act of a broader ‘Year of Return’, announced by President Akufo-Addo in September 2018. The ‘Year of Return’ includes a music festival, an investment conference targeting diaspora Ghanaians, and the ‘Right to Return’ initiative, encouraging African-Americans to seek citizenship in Ghana. Ghana, the first sub-Saharan African country to win independence from colonial rule, has a history of pursuing ties with Africans overseas. It dates back to the country’s first President Kwame Nkrumah, whose vision of pan-Africanism included alliances with diaspora communities. Nkrumah enjoyed warm relations with African-American icons such as Muhammad Ali and Malcolm X, who both travelled to Ghana to meet him. Writer Maya Angelou spent time in the country after its independence and civil rights leader W.E.B. Du Bois is buried in Accra. “We are going to use Ghana as a gateway to the rest of the continent,” she said.”There are beaches in Kenya as well as snow-capped mountains. We need to tell the story of all the amazing opportunities Africa has to offer. Zu-za Heroes And Dishonourable Honourables!